All is not well at Manchester United at the moment, and you don’t need a psychic to tell you that. The fallen English giants, who sit seventh in the Premier League table, suffered a humiliating third round League Cup exit at the hands of lowly Derby County last night. Jose Mourinho’s side were beaten by a much sharper Derby unit managed by Mourinho’s ex-talisman Frank Lampard, and though they did manage to scrape a 2-2 draw in regulation time, they lost the penalty shoot-out to their more composed opponents. What would have irked United fans more was the fact that they were outplayed at certain stages during the match, and weren’t helped by a red card for their goalkeeper Sergio Romero, which reduced the Mancunians to ten men and drastically altered their hopes of picking up a win. Mourinho has since revealed what he told his players at half-time, and fans of the multi-time Premier League champions haven’t been satisfied with what the Portuguese boss had to offer. “At half-time, I basically repeated the same words that I said in the last match,” Mourinho told Sky Sports. 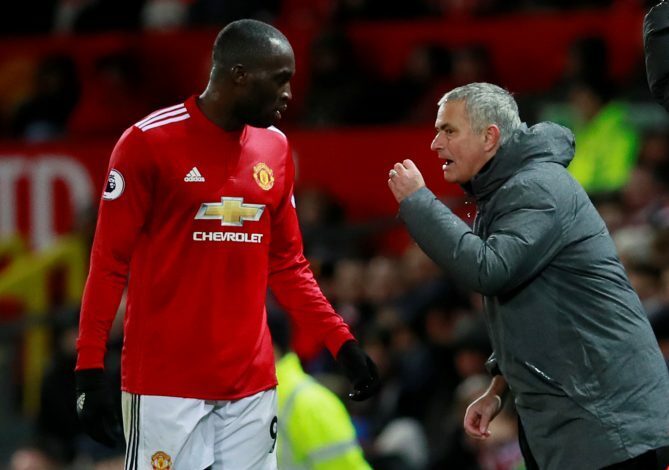 Clearly, Mourinho’s rant had little effect on his ailing side, which needed a stoppage-time equaliser from Marouane Fellaini to bail them out momentarily and delay the inevitable defeat to penalties. Phil Jones was the unfortunate one to see his penalty saved in a bizarre shoot-out that saw fifteen straight penalties converted before the English centre-back erred from the spot. With pressure mounting on the Red Devils’ boss, serious questions need to be asked about last night’s performance.